The GeoStream team is looking forward to a number of remediation industry events on the 2018 calendar. Our experts will be out and about at the following events and workshops in the first half of the year, as well as running exclusive webinars to give you an insight into GeoStream’s service offering. Be sure to keep track of our whereabouts by following our LinkedIn page. 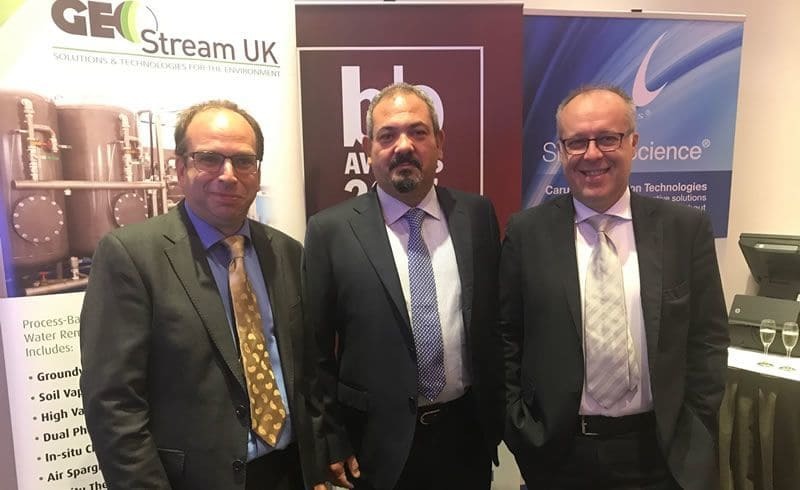 James Cartwright, managing director of GeoStream UK, has been invited to present at the ‘Soil Treatment in the South East’ workshop at the University of Greenwich on the 14th February. The industry-leading event is organised by the Environment Agency’s Groundwater & Contaminated Land team for the Kensington and South London area. During the workshop, James will be discussing the work GeoStream does using intelligent plant in earthworks remediation of contaminated land. You can register by sending forms to soils.sews@gmail.com. We’re attending this year’s RemSoc Conference at The Studio in Birmingham city centre. The event, now in its second year, will see the launch of the RemSoc Practitioners Framework for Remediation and will look at topics including dispute resolution between clients, contractors and consultants. To register, visit the RemSoc website. GeoStream is hosting a webinar in conjunction Carus and Jim Cummings of the Technology Assessment Branch in the Office of Site Remediation and Technology Innovation at the United States Environmental Protection Agency. The session will focus on combined remedies in remediation. Join the GeoStream Italia team for a virtual tour of one of our sites, including in-depth commentary on a build/installed plant. We’re collaborating with Carus and Joe Rossabi, partner of remediation specialist Redox Tech for a webinar on combined remedies using permanganate and bioremediation. To register for all webinars, email Olivia Crowley-Hall, our Technical Director.